It’s not uncommon for Human Resources departments to struggle to find and retain qualified, experienced IT professionals who fit in with their company culture and work well with existing employees. 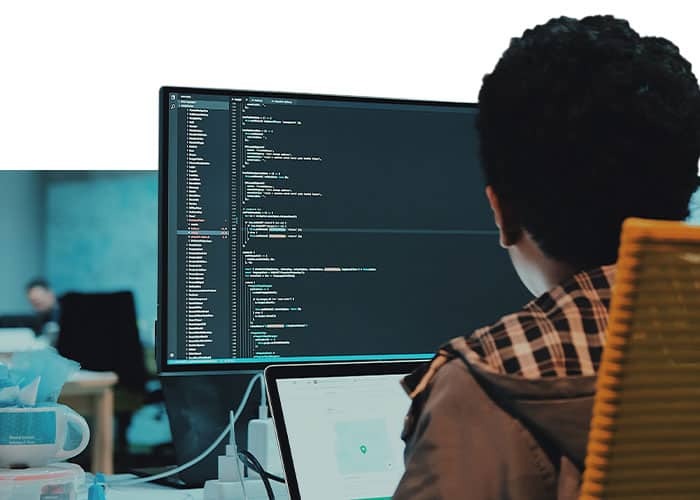 IT professionals need to have technical proficiency, a deep understanding of the company and industry they’re employed in, and an overall ability to excel both in managing day-to-day operations needs and performing critical IT projects when needed. 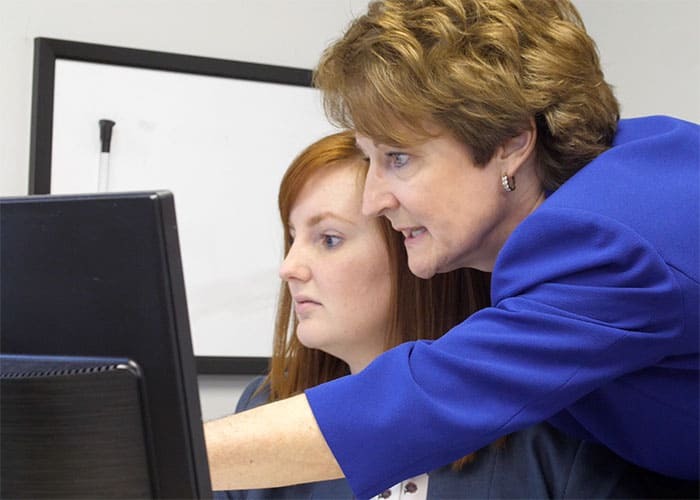 IT professionals know their skills are in high demand, and many are searching for the perfect opportunity to build a lasting legacy and a long-term career at just the right company. Many staffing agencies simply send over a bank of résumés that seem mostly suitable, without doing a deep dive into the candidates and the job opportunity a client is looking to fill. This leaves your company’s HR team struggling to pick the right candidate from a crowd. At Perceptive Recruiting, we’re ready to take the work off your hands, and we won’t stop until we find the perfect IT professional to match your company’s needs. Perceptive Recruiting is wholly dedicated to fulfilling professional recruiting and IT staffing needs for our clients, giving us a level of insight and specialization that other staffing agencies can’t provide. Since our focus isn’t on fulfilling a transaction, but on building the right relationships, we have a level of flexibility unmatched by other agencies. We’re willing to do what it takes to ensure our clients’ success. We not only take in résumés and assess candidates on a job-by-job basis, we also have a pool of recruits who are focused on finding the perfect opportunity to utilize their skillset, knowledge, and expertise. We’ll take the time to narrow down the list to just a few of the most qualified candidates through a stringent interview and vetting process. Perceptive Recruiting not only handles those initial interviews, we also perform detailed background and drug checks and will follow up to ensure that your chosen candidate excels in their position. Jill Rose started Perceptive Recruiting as a way to provide a dedicated, focused IT staffing service to companies who struggled locate candidates with the right experience, expertise, and qualifications. 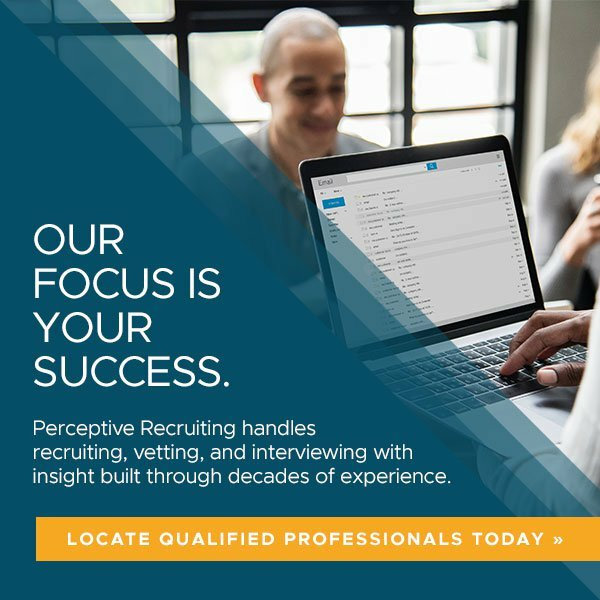 If you’re searching for an efficient, effective way to fulfill technology recruiting or IT staffing job vacancies within your company, Perceptive Recruiting has the connections and insight to ensure you find the right person for the job. Find technology staffing solutions by calling Perceptive Recruiting at (864) 256-0203, or contact us online at any time.